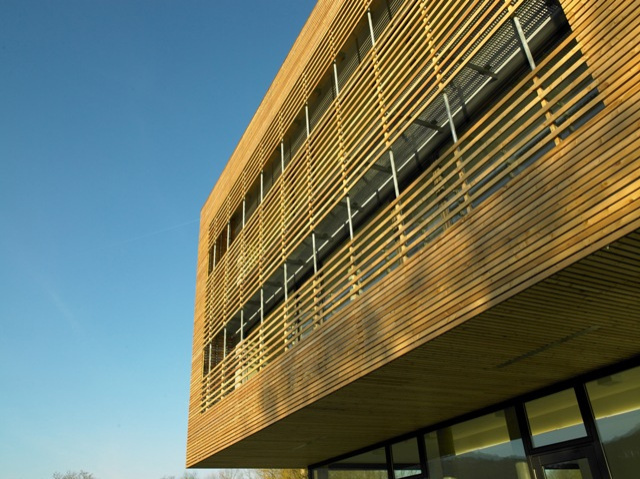 Stay overnight at the sports youth hostel Echternach with lake view. An impressive climbing wall as well as a trampoline park and sports hall guarantee active holidays in the Mullerthal region – Luxembourg’s Little Switzerland for guests of all ages. Echternach is known by everyone as the abbey town. But did you know that Echternach is also the oldest town in Luxembourg? Culture lovers will get their money’s worth. But Echternach has more experiences to offer than its impressive basilica and the world-famous Dancing Procession on Whit Tuesday to the grave of Saint Willibrord. To bear witness to the wide range of activities in the region, one must only head to the sports youth hostel in Echternach. With plenty of exciting experiences for the whole family, the hostel offers more than just affordable beds and group accommodation. 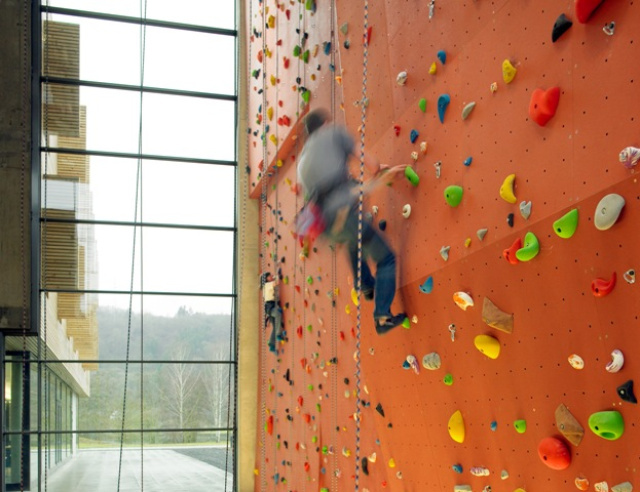 A 14 meter high climbing hall with a boulder wall, a fully equipped sports hall as well as a large trampoline park await the sports groups at the lake of Echternach to burn off energy. 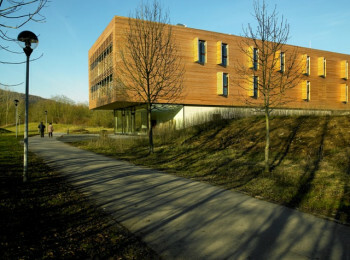 The modern youth hostel of the ‘capital’ of the Mullerthal region – Luxembourg’s Little Switzerland is open the whole year and welcomes active families, sporty children, adolescents and adults as well as groups interested in culture and adventurous backpackers of all ages. Hiking, mountain biking and cycling tours as well as cultural visits and extensive shopping tours in the abbey town are featured on the program. Two conference rooms as well as a small meeting room are available to the groups. You may as well book various teambuilding and incentive activities organised by our animation team. If after all those activities, you feel hungry, why not enjoy a meal at the ‘Melting Pot’, the restaurant of the youth hostel. Seasonal and regional dishes are served for lunch and dinner. The guest may order the menu of the day or ‘à la carte’. Weather permitting, the terrace is a great place to enjoy the panoramic view of the lake Echternach. Whether you like sporty holidays or cultural sightseeing – all is possible in Echternach. The bus stops ‘Centre de secours’ and ‘Nonnemillen/Lac’ are located near the youth hostel Echternach. The bus lines 110 (Luxembourg-Echternach, direct) and 111 (Luxembourg-Echternach, via Berdorf and Consdorf) depart from the Luxembourg-City train station in direction of Echternach and stop at the above mentioned bus stops. The following buses will get you to Echternach too: 112 (Junglinster-Bech-Echternach), 401 (Luxembourg-Echternach-Bitbourg), 416 (Mersch-Larochette-Echternach), 475 (Grevenmacher-Manternach-Echternach). Arriving from Brussels on the E42/A60 or from Cologne/Bitbourg on the A64/B51 drive in direction of the B257/E29 to Irrel and continue to Echternach. In Echternacherbruck, take the frontier bridge in order to arrive in Echternach. Turn onto the N11 and than the CR366 and follow the ‘route de Wasserbillig’ in direction of Luxembourg/Diekirch/Vianden. Turn onto the CR139 and follow the ‘route d’Osweiler’. Turn right onto the ‘rue Alferweiher’ and follow the street until you arrive at the lake of Echternach. The youth hostel is located on the left hand side. Arriving from Sarrebruck/Metz/Luxembourg continue in direction of Trier on the A1 and change to the A7 in direction of Ettelbruck. Take the first exit, Waldhof, and continue on the E29/N11 through Junglinster until you arrive at Echternach. In Echternach, follow the ‘rue Grégoire Schouppe’ (CR378) located on the right hand side until you arrive at the lake of Echternach and its youth hostel, located on the right side. The PC 2 cycling path leads from Luxembourg-City to Echternach. At Echternach, follow the cycling path along the lake. The youth hostel is located at its eastern bank. From Vianden, Wasserbillig and Schengen, follow the cycle path PC 3 along the Sûre to Echternach. Then take the PC 2 to the lake of Echternach, where the youth hostel is located. Coming from Trier, follow the ‘Mosel-Radweg’ cycle path to Wasserbillig and then the PC 3 to Echternach. The PC 2 continues to the lake of Echternach and the youth hostel. Echternach, the oldest town of Luxembourg located at the river banks of the Sûre, could be called the cultural city par excellence. Its basilica of Saint Willibrord, the Dancing Procession, which became part of Unesco’s Intangible Cultural Heritage in 2010 as well as its cultural centre Trifolion are certainly worth a visit. Nevertheless, nature lovers as well as hikers and bikers will find their money’s worth in the ‘capital’ of the Mullerthal region – Luxembourg’s Little Switzerland. Numerous activities are proposed along the picturesque rivers and the impressive sandstone rocks. The youth hostel is located near the lake of Echternach, approximately 2 km from the city centre and is therefore an interesting departure point for all kinds of tours. Are you planning on doing a pedagogical trip with your class or are you looking for a nice venue for your teambuilding excursion with your association? Whatever your choice, the youth hostel Echternach is the right place for you. We offer an exclusive programme of activities like for example climbing on the indoor wall of the youth hostel Echternach, a cycle tour through the Sûre valley or cultural trips to the oldest town in Luxembourg. You may also book an exciting geocache tour or interesting hikes in the region for children as well as adults. Sport enthusiasts of all age groups may organise a training camp here. The sports hall of the youth hostel Echternach is fully equipped for football, volleyball, basketball, handball, badminton, Indiaca and table tennis. Fitness, gymnastics and karate can also be practiced here. 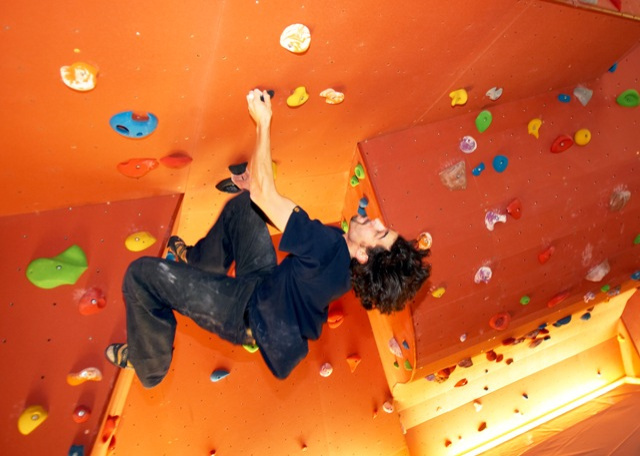 If you like climbing or you always wanted to try it, the indoor climbing hall of the youth hostel Echternach is the right place for you. A 14 m high climbing wall as well as a boulder area are at your disposal. Regular climbing sessions as well as free climbing sessions are organised for amateurs as well as athletes. Qualified trainers are supervising the climbing sessions. Climbing equipment can be hired. Do your kids prefer jumping on the trampoline to climbing on the wall? Then you should try the trampoline park located next to the youth hostel Echternach. The outdoor park is open from Easter until the end of October and consists of 10 trampolines. Echternach, the ‘capital’ of the Mullerthal region – Luxembourg’s Little Switzerland is the perfect starting point for hikes through the spectacular canyons of the region. Do you want to hike individually or in a group with a guide? The quality certified ‘Mullerthal Trail’ with more than 112 km of varied hiking trails is a must. Hiking trip: The Mullerthal Trail route 1 passes directly by the youth hostel Echternach. You may also start the route 2 in Echternach. Numerous national trails and local walking paths lead also through the region. Discovering Echternach and its region on two wheels is always a good idea, as the landscape is relatively flat. The Grand-Duchy counts 23 national cycle paths. The cycle path PC 2 Echternach and PC 3 des Trois Rivières lead through Echternach with its ‘Bed & Bike’ certified youth hostel. Cycling trip: Discover the region on your bike and stay two nights in the youth hostel while benefitting from the complete service package. ‘Tour du Guttland’: As the name of the tour indicates, you will discover three different regions with your bike: the Mullerthal region – Luxembourg’s Little Switzerland, the region of the Moselle with its variety of wines and the south with its industrial heritage. Discovery bicycle tour: This tour, including two overnight stays at our modern youth hostels, leads from Luxembourg-City to the Moselle region and the Sûre valley. Castles and forests bicycle tour: Four nights in the youth hostels and numerous castles and forests are on the programme. This tour leads across the country from the capital to the Mullerthal region – Luxembourg’s Little Switzerland, continuing through the Luxembourgish Ardennes and back through the ‘Guttland’ to the starting point. Do you prefer mountain biking to cycling? That’s fine, because the region of Echternach has lots of adventurous tours through the canyons to offer. Cross of the Ardennes: This three day tour will lead you across the Luxembourgish Ardennes as well as the Mullerthal region. The biker will encounter numerous singletrails as well as ascents and descents. Mullerthal Cross: Do you love nature and want to discover the Mullerthal region – Luxembourg’s Little Switzerland on your mountain bike? This tour leads through the whole region. MTB discovery trip: Stay overnight in Echternach and explore the spectacular landscape on your mountain bike. Echternach and the Mullerthal region – Luxembourg’s Little Switzerland can be discovered in a sporty manner. Race cyclist lovers have the choice between numerous tours. They may be little, but they know exactly how their birthday party should be organised. We are talking here about the children who like to party with friends and family. In order to create a lasting remembrance of the birthday, the team of the youth hostel provides you with advice and assistance. Rent & Play on your own: Rent a bouncing castle or a hifi-system and transform the party into a cool celebration. 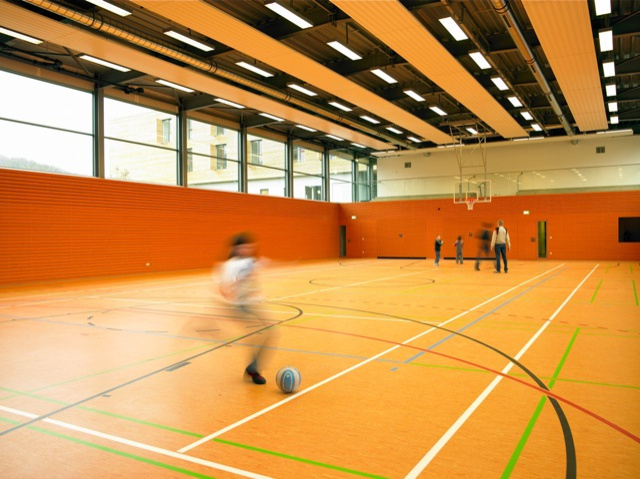 You may also rent the sports hall of the youth hostel Echternach during 2 hours if your child prefers a more sporty event. Let us entertain you: Book 2,5 hours of geocaching outdoors with an accomplishesd coach (‘Indiana Coach’) or a 1,5 – 2 hours climbing course on the indoor climbing wall supervised by a coach (‘Mini-Trazan or ‘Tarzan’). You may also rent the outdoor trampoline park for a birthday party (‘Skippy’ or ‘Spiderman’). 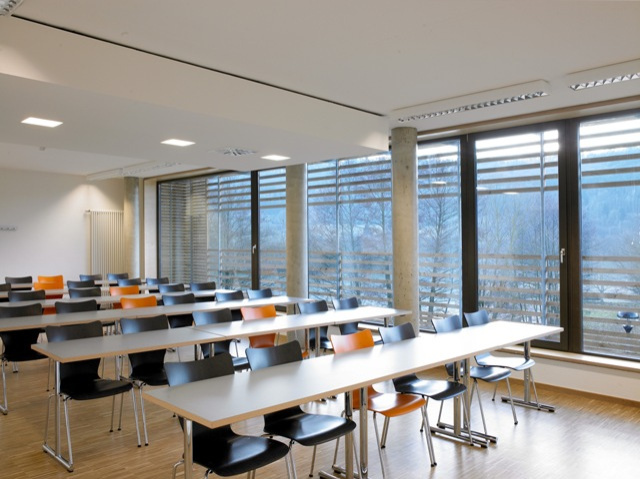 If you are looking for a venue for a conference, a meeting or a seminar, the youth hostel Echternach is the right place for you. Three rooms are at the guests’ disposal. You may also rent the sports hall as well reserve teambuilding activities. 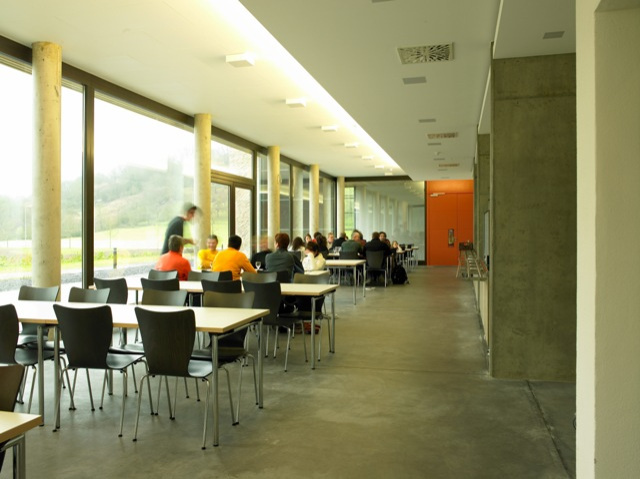 If you like to enjoy your meal in a cosy restaurant or on a modern terrace with a panoramic view of the lake of Echternach, then the youth hostel’s restaurant ‘Melting Pot’ is the right place for you. The restaurant stands for regional and seasonal as well as fair dishes. Every day, the kitchen staff proposes a daily menu with a first course and a dessert. Ordering ‘à la carte’ is also possible. Vegetarians and children also find a choice of special dishes on the menu. Tourists as well as residents are welcome to eat at the restaurant (110 seats) or on the terrace (80 seats) lunch or dinner at an affordable price. The bistro is located next to the restaurant, where you can enjoy a view of the climbing hall. Tourist groups may choose between the many offerings of the catering brochure or book a barbecue.